Spinal decompression is a non-surgical procedure that alleviates pain caused by pinched nerves, especially for people suffering from pinched nerves as a result of herniated discs, degenerating discs, or sciatica and spinal stenosis. These patients have generally seen multiple doctors, have already undergone a variety of treatments, and look to spinal decompression as a solution to the pain. Spinal decompression works by reducing pressure inside the disc, restoring movement and function. 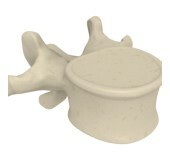 Using a controlled machine, the injured discs are lightly stretched apart. The movement realigns disc bulges and herniated discs back to the center, relieving pain from pinched nerves. During the decompression, the pressure in the disc is removed and a suction effect is created, pulling in oxygen, water, and nutrients back into the center while the discs help restore healthy nutrients to the affected area. Back decompression offers a non-surgical, non-invasive solution to severe back pain. If you have severe back pain and think you may benefit from back decompression, please contact our office to schedule an appointment with one of our chiropractors today. One of our qualified professionals will perform a comprehensive physical exam to determine the best treatment options available to you. If you live in or around Fort Lauderdale and have a question about back decompression, we will gladly answer any of your questions.